Nalia it’s on it’s way to a million views now on YouTube and Sidika has been doing everything in her power to make sure the song remains a trending topic. 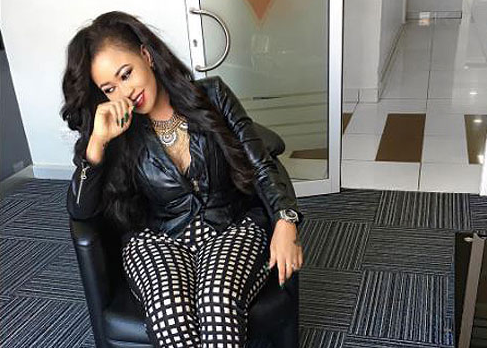 Sosuun claimed that the reason why Vera Sidika started the Nalia challenge was because fans don’t know the song. 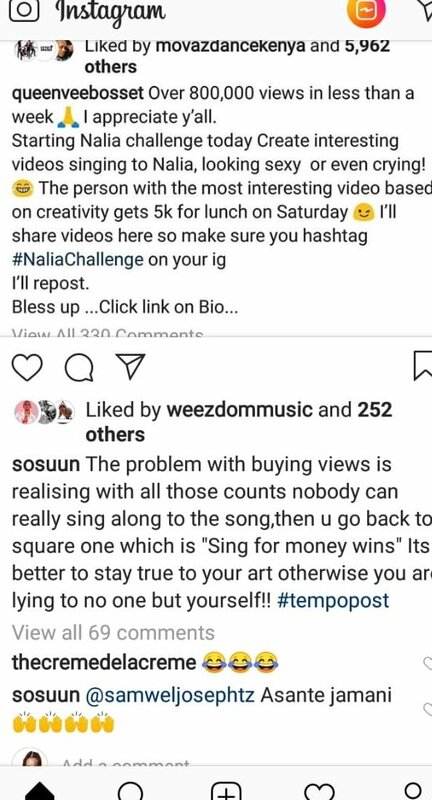 “The problem with buying views is realizing with all those counts nobody can really sing along to the song then you go back to square one which is ‘sing for money wins’ it’s better true to stay to your art otherwise you are lying to one but yourself.” said Sosuun. Vera announced the challenge on Monday but very few have bothered. She later deleted the post after noticing the challenge was a flop.